okay this is a how-to on how to swap out your old tired ticking hydraulic lifters to the wonderful adjustable quite solid lifters. 3rd step. pull out the cam. 5th step. 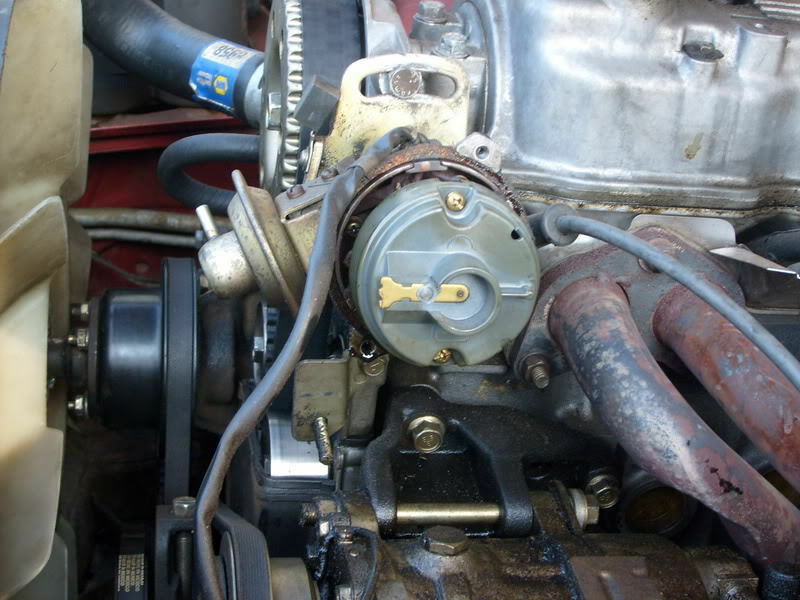 go out to your 2200 engine and make sure your engine's number one cylinder is sitting at top dead center. 7th step. 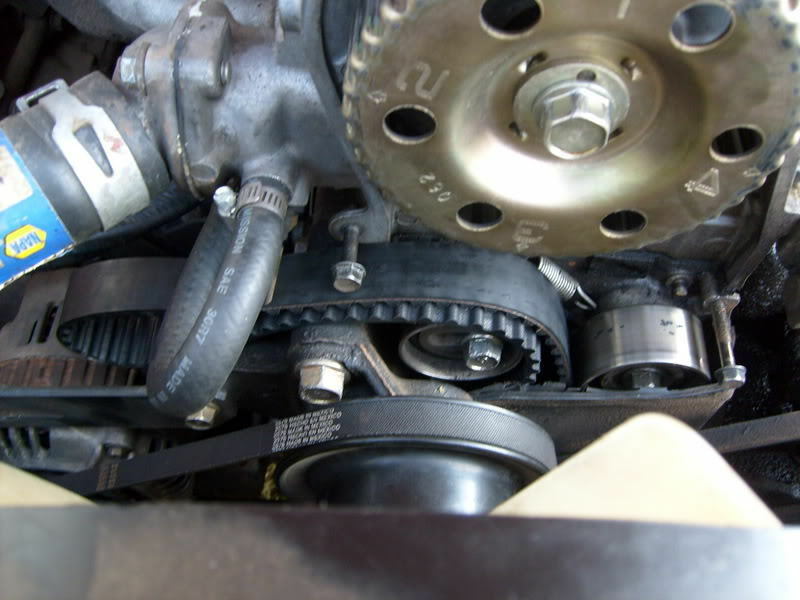 pull your timing belt off lay it to the side. 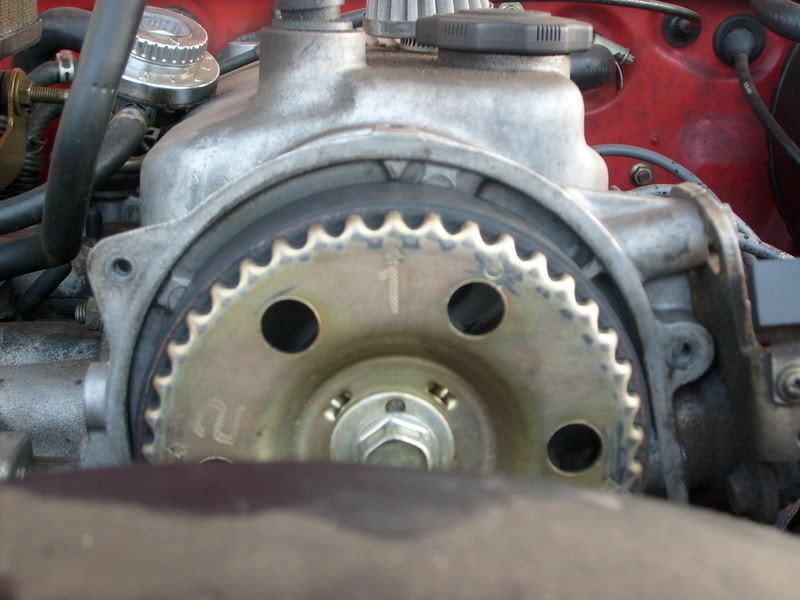 pull the timing gear off of the cam and unbolt the front housing on the head. 8th step. 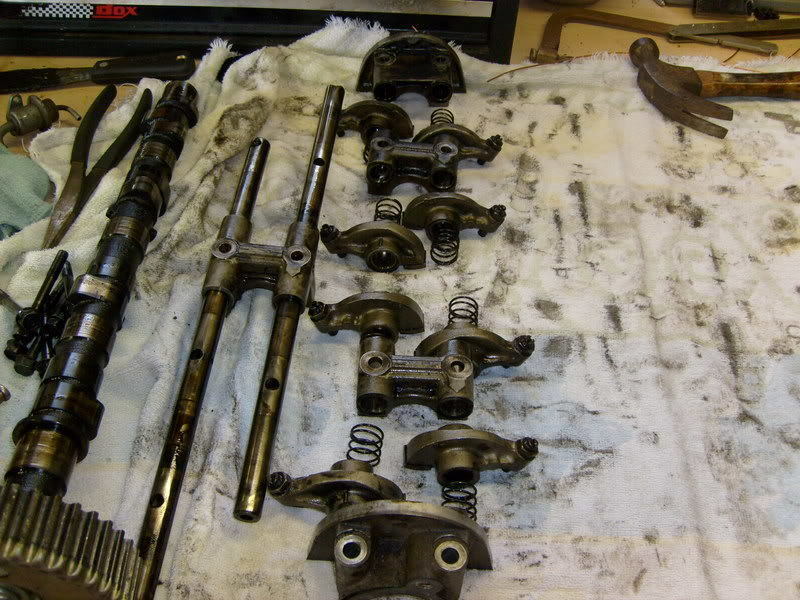 pull your rocker arm assembly off and cam out. may be a small pain if you have a mechanical fuel pump. but should roll right out. 9th step. 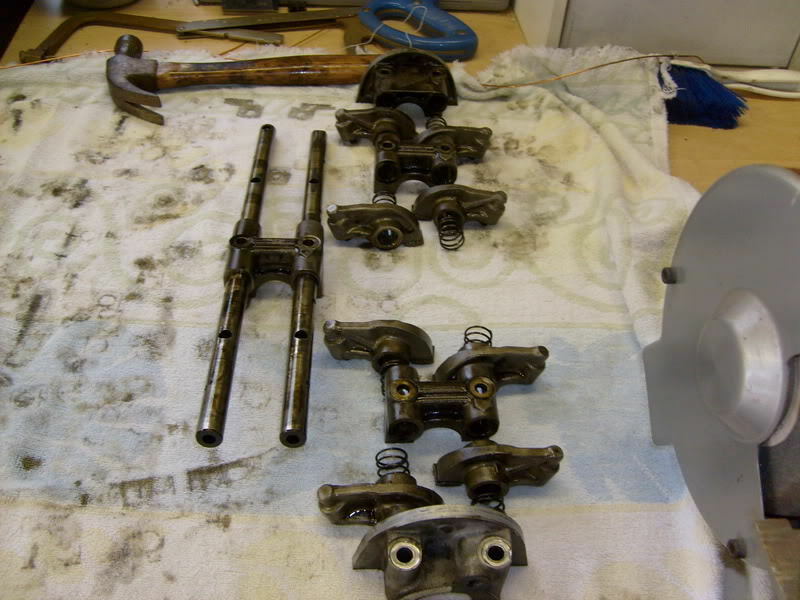 take the rocker arm assembly in and lay it on the work bench beside the solid assembly. 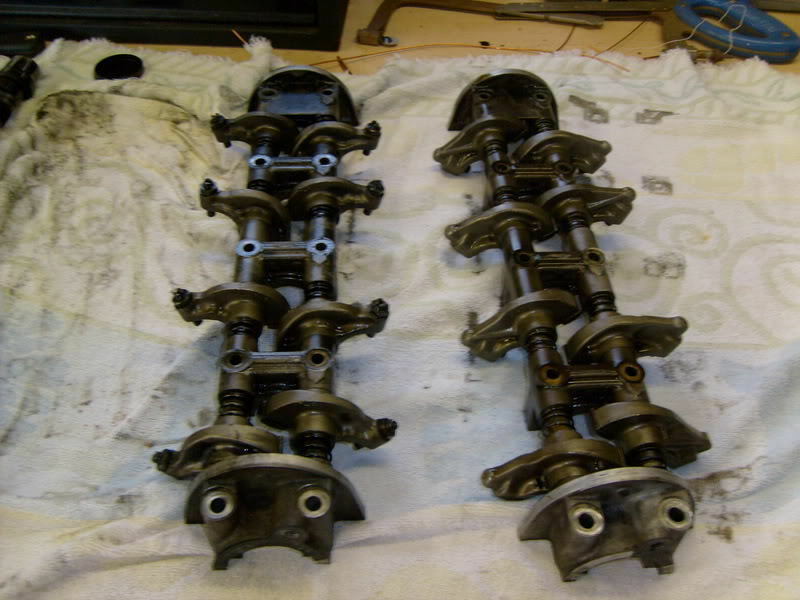 in picture solid on left and hydro on right. 12th step. carefully swich the solid rockers with the hydro rockers one at a time. until all of the solid rockers are in order with the caps you took off of the b2200 head. this is important because the caps were machined to fit that head and need to go back the way they came off. 13th step. put the assembly back together. making sure that the holes in the slides are lined up with the caps. 14th step. 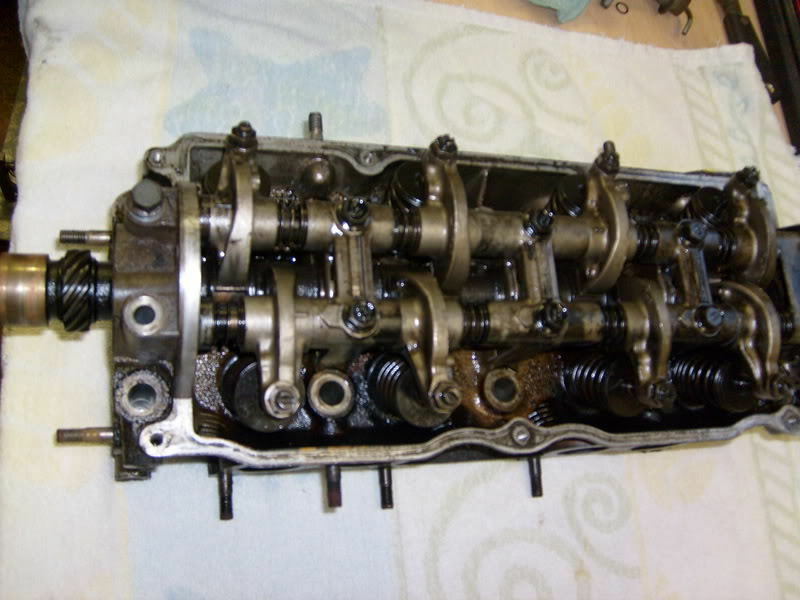 trace out the gasket that goes between the rocker arm assembly/head and the front housing. 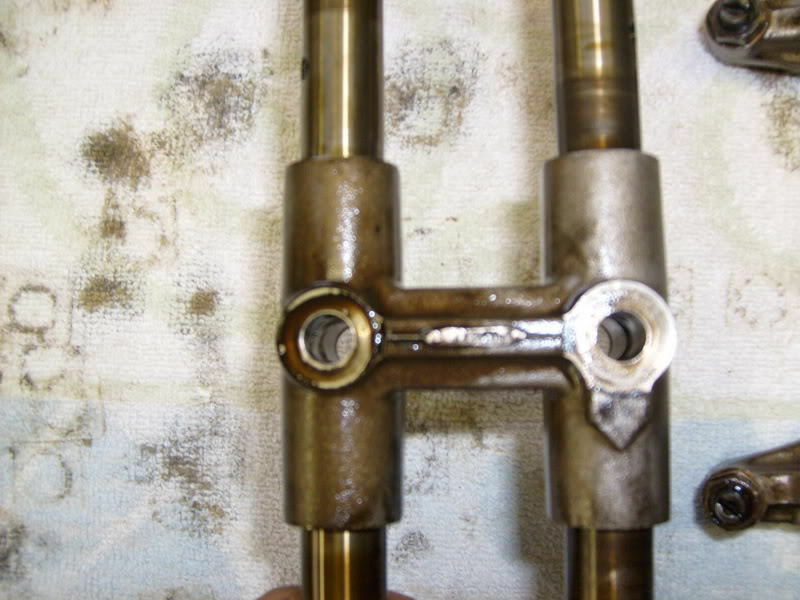 the reason i say this is because you cant buy it as a single gasket even through mazda. 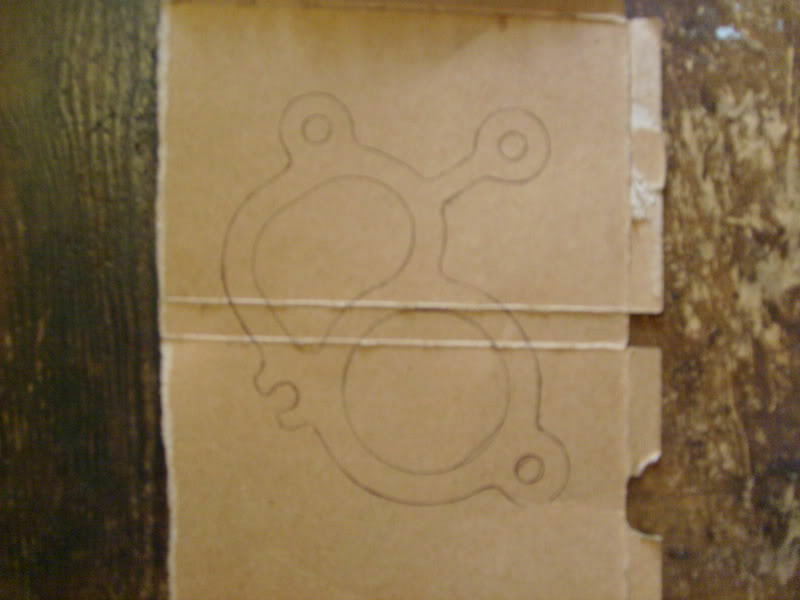 you can go the local parts store have them pull out a headgasket set pull the gasket out and trace it on a piece of cardboard. 15th step. 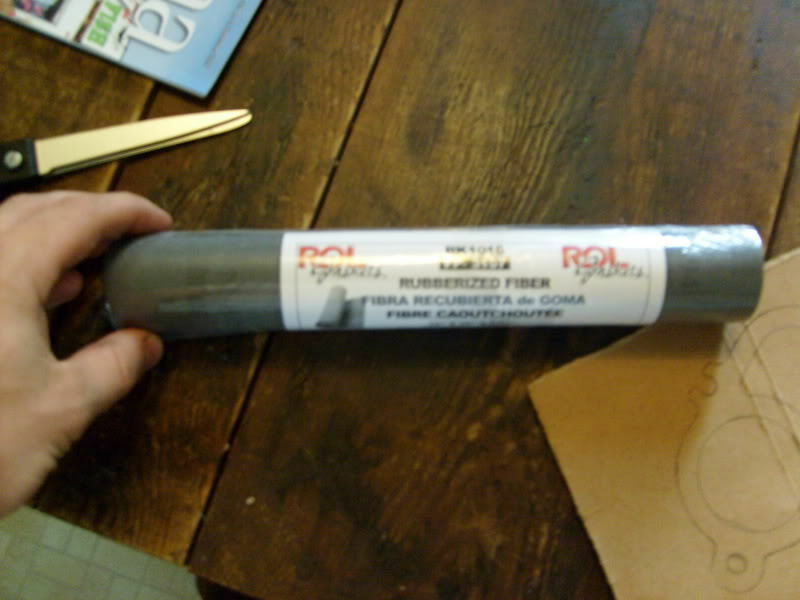 cut it out exactly the way its traced and lay it on some rubberized fiber that you can pick up at the parts store while your there. trace it out and cut it out. this is now the new gasket. you may want to make a few of them because they tear easily. i got mine for like 5 bucks, and now have plenty left over. 16th step. 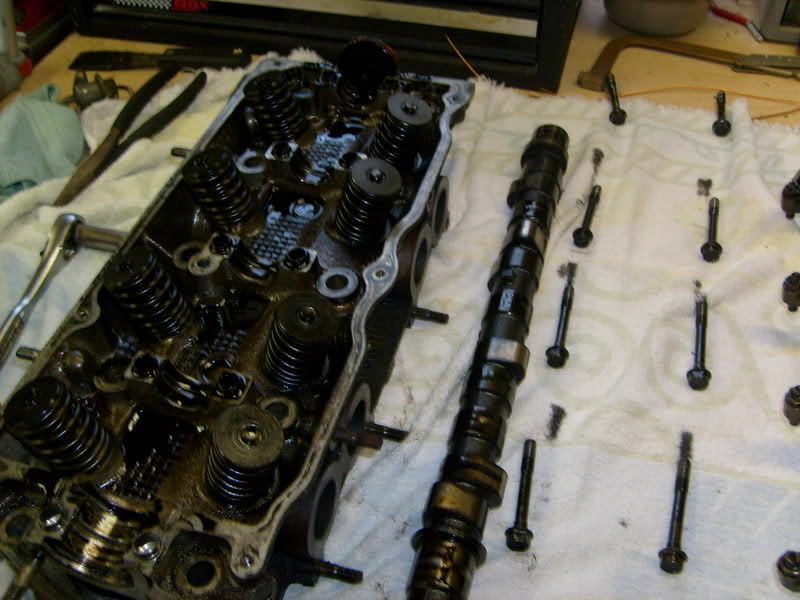 now install the cam, gasket, front housing, rocker assembly, exactly the way you took it off. i have more pics of the installation but camera is messing up. 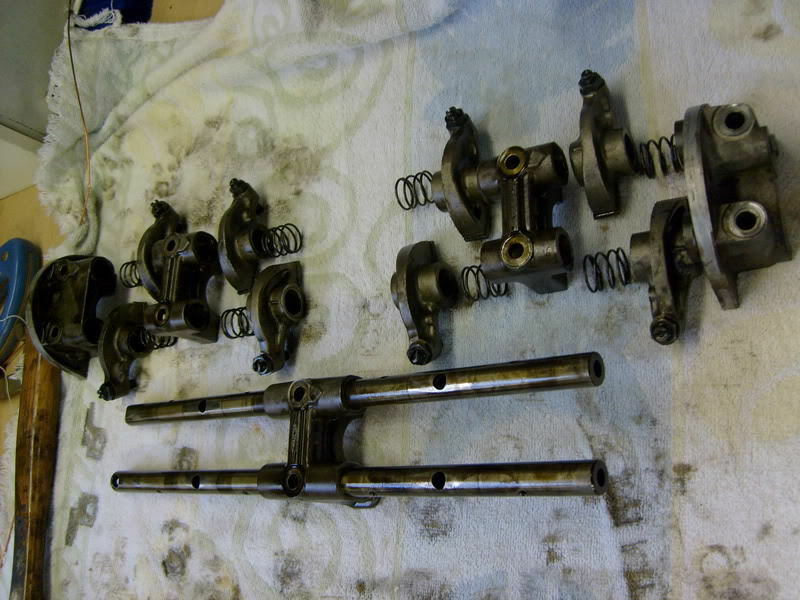 - make sure and properly lube everything when putting back together. 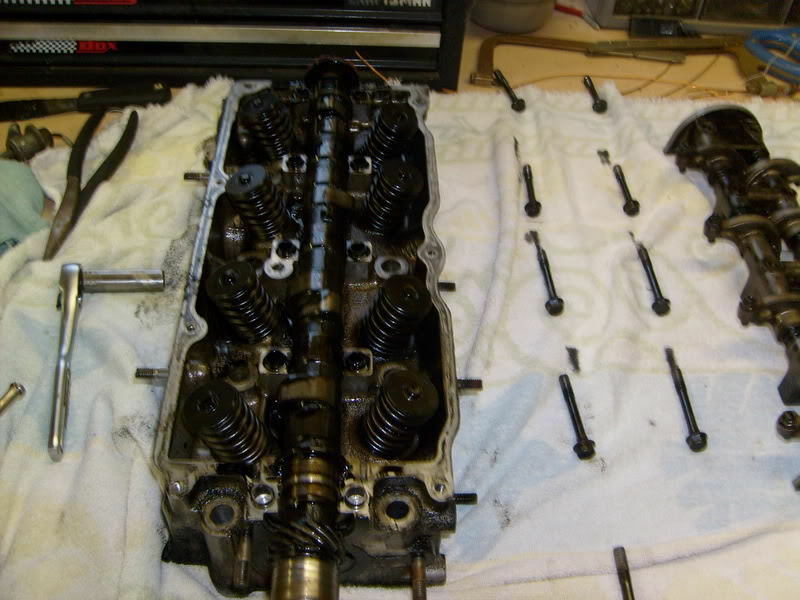 - make sure the cam is pointing at top dead center when reinstalling that way timing is easier. - make sure you dont get the two cams mixxed up because you cant to my knowledge look at them and tell the apart. 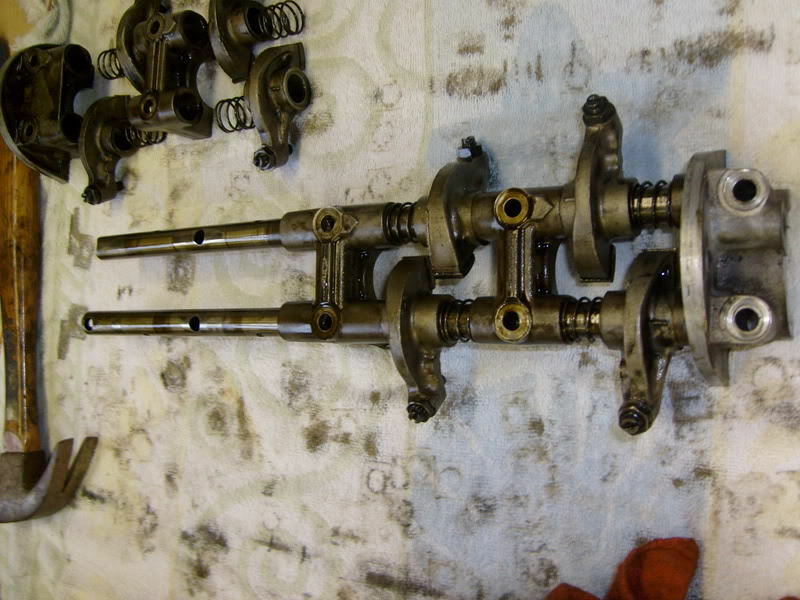 - make sure and prep all the parts to go back together so you have no leaks in oil or water. this was my first time doing this so if there is anything i missed or you have any more tips that will help feel free to post it up so everyone can do it the best way. thats pretty damn good.what are the advantages of doing this?how long did it take you? i just installed a 2.0 head on my 2.2 block. i did that because i warped the head due to it overheating. but one advantage i have noticed other than the tick is that it seems like i have a hp gain. she gets up and moves a little quicker. i really thought this would get a little more attention. yeah, i am sure it was just that damn 2.2 head that i had. 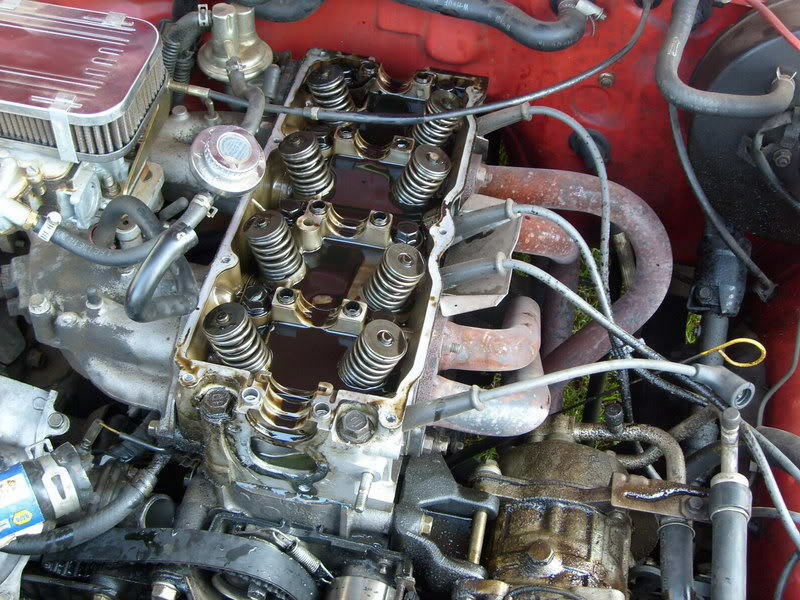 it wasn't right from day 1. i ended up replacing ever single helicoil on it except the sparkplug helicoils. the company i bought it from really got me on it. before i bought it i asked them if they put new or rebuilt lifters on them. they said new. 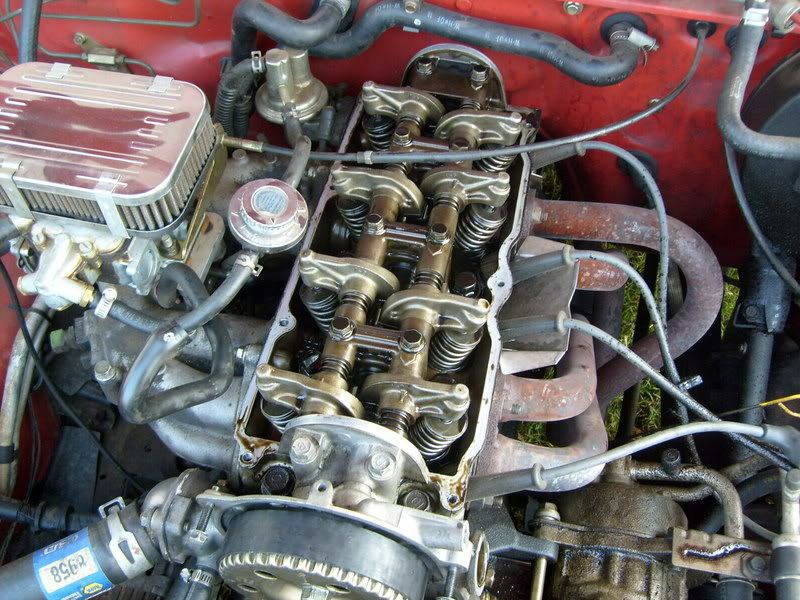 then i got it in and got my engine together and it wouldn't stop ticking. so i called them back and they told me the truth. so i had to spend another 100 bucks on lifters. jerks. won't ever deal with them again. and the only thing i didn't like when i got my 2.0 head was that they got paint in the oil galley and they didn't install one of the 2 dollar freeze plugs. so i had to special order the freeze plug and wait another couple days to actually install the head. but the 2.0 head on a 2.2 block is a great upgrade in my opinion.